It is with a great deal of sadness that I pass along this information on behalf of Don Smith of Fort St. John, British Columbia. 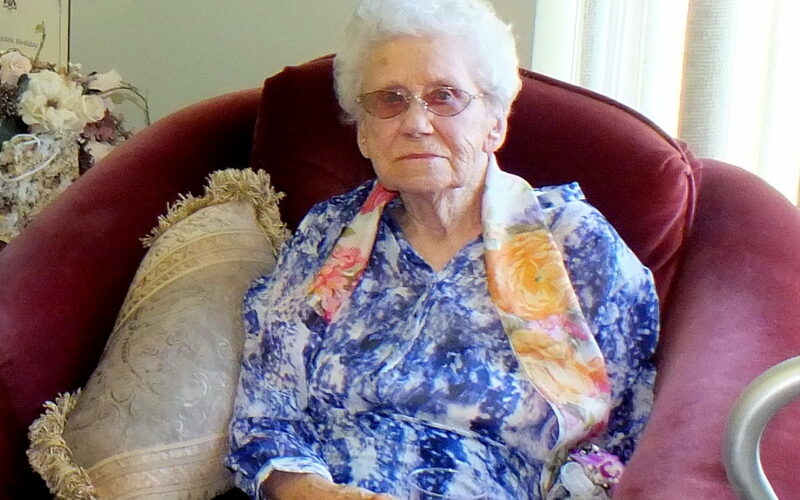 Mildred Smith passed away peacefully at the Bayview Care Home in Kemptville, Ontario, on August 21, 2016, at the age of 101 years old, just one month and a day short of her 102nd birthday. Mildred was born on September 22, 1914. Mildred and her husband, Ray, both were an integral part of the Oxtongue Lake community starting in 1941 for a few short years before relocating and operating a sawmill on the Ravenscliffe Road. They then returned to Oxtongue Lake in 1959 where they spent the next 30 years working and raising their son, Donnie. In 1989, Ray and Mildred moved back to Ottawa for the remainder of their lives. Mildred was a very kind, jovial, patient, loving woman, and she will be greatly missed. Services will be held at Hulse, Playfair & McGarry Funeral Home, 805 Prescott Street, Kemptville, Ontario, on Tuesday, August 30, with visitation beginning at 11.:00 AM. A service will follow at 1 p.m. Following the service, interment will take place at the Stittsville United Church Cemetery. Mildred will rest with her husband who predeceased her in 1990.